I have been very, very good this year and I would really like a doll’s house. 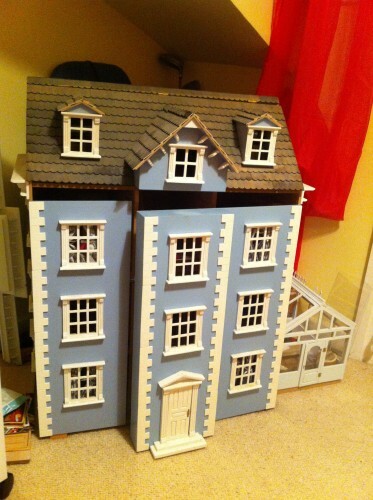 I write about Interiors and when I was a child my dolls house was my absolute favourite toy…Hmmm…I wonder if there is a connection?? I have privately promised myself that one day I will buy myself a dream dollshouse, like the one above and ‘do it up’ myself…quite an expensive indulgence, both in terms of money and space…unfortunately, we just do not have a spare corner where a huge dolls house would sit comfortably. 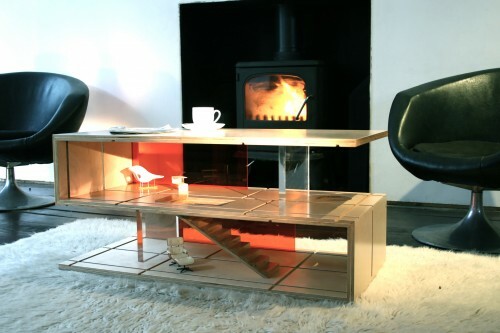 However…this could solve that problem…I saw this absolute beauty in an email alert about a forthcoming design exhibition Home London open 13th-15th jan at Earls Court…a coffee table that is also a modernist dolls house: the Qubis, the dolls house that doubles up as a coffee table!! Designed by Amy Whitworth, a former designer, now a mother of small children / toy designer. Family Favourites – my brother! HI Alison, I love all of your beautiful photos. I had a doll house when I was in 6th grade. Actually I still have it, but it is boxed up in my storage area. It was made in Germany (I can’t remember the name of the company offhand) and is very 60’s/70’s looking. I haven’t pulled it out in years, but remember having so much fun decorating it.